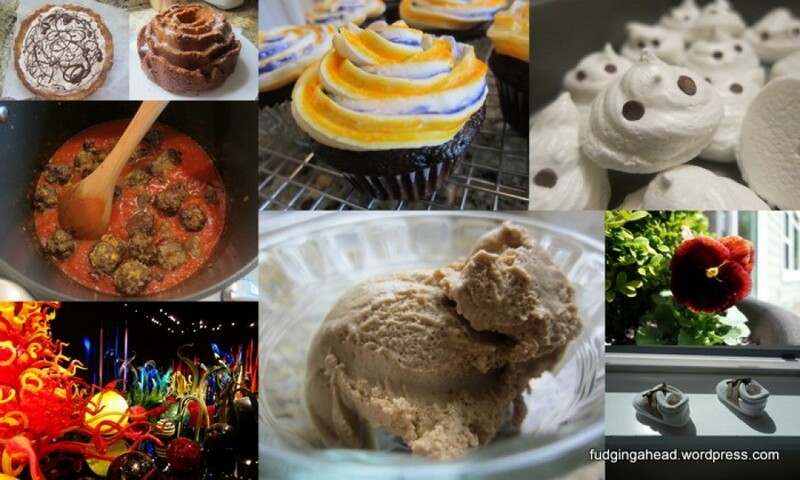 I had saved this recipe to make and I wasn’t really sure what these would be like, but we ended up enjoying them. 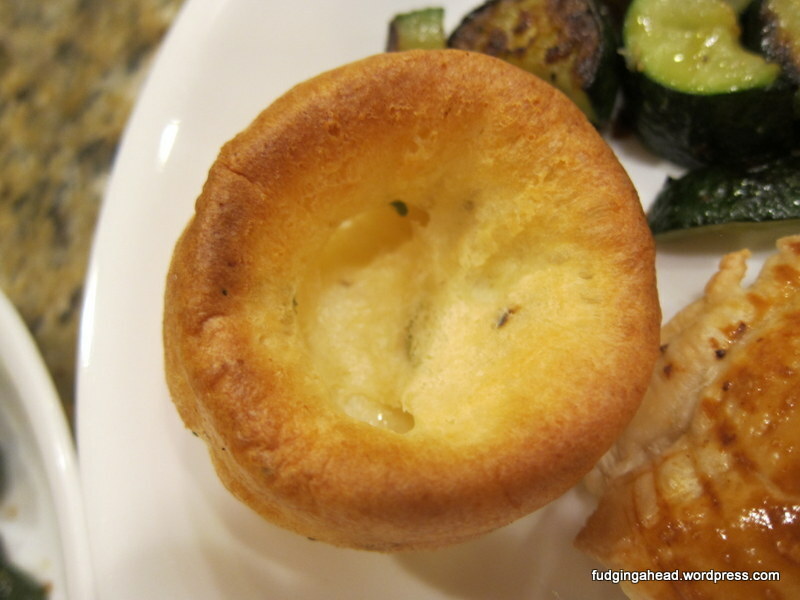 I was curious how they related to popovers and apparently are almost identical depending on your recipes. From what I could gather, this tends to be the savory version of a popover. But I’m sure I’m wrong on some level there, too. 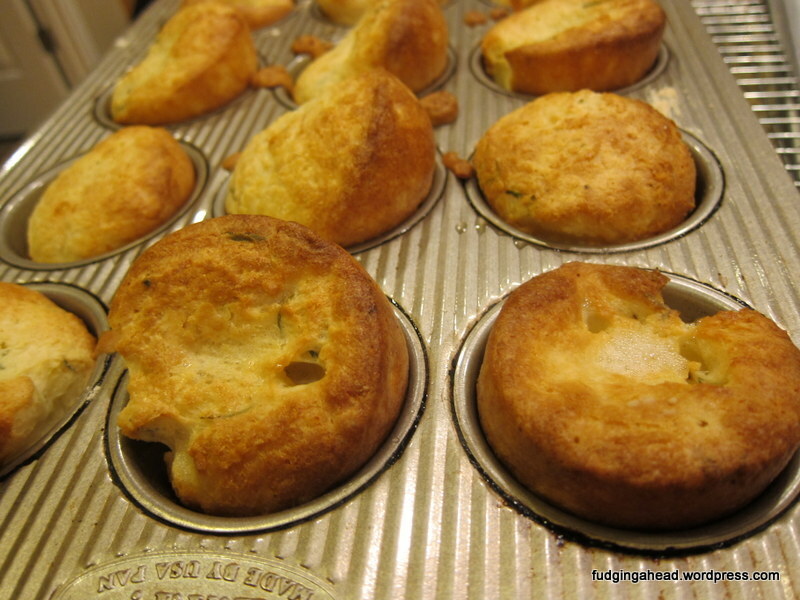 That was my best interpretation, in case you’ve made popovers before. I liked that I didn’t need a special pan or special ingredients. Everything was stuff I have on hand, and you could mix up the herbs. Now you might remember that I am always bad when it comes to making side dishes, but this was fairly simple since it was one bowl. And once they are in the oven, you don’t need to fiddle with them. In fact, you aren’t supposed to open the oven at all, which can make the main course tricky depending on what you’re doing. These are very light and you can easily eat more than one, in case you are wondering about serving sizes. Making 12 doesn’t mean you need 12 people for dinner. Put a 12-cup muffin pan in the oven (a light-colored metal pan is best) and preheat the oven to 400 degrees F. In a medium bowl, whisk together the milk, eggs, salt, and pepper. Whisk in the melted butter, then whisk in the flour until smooth. 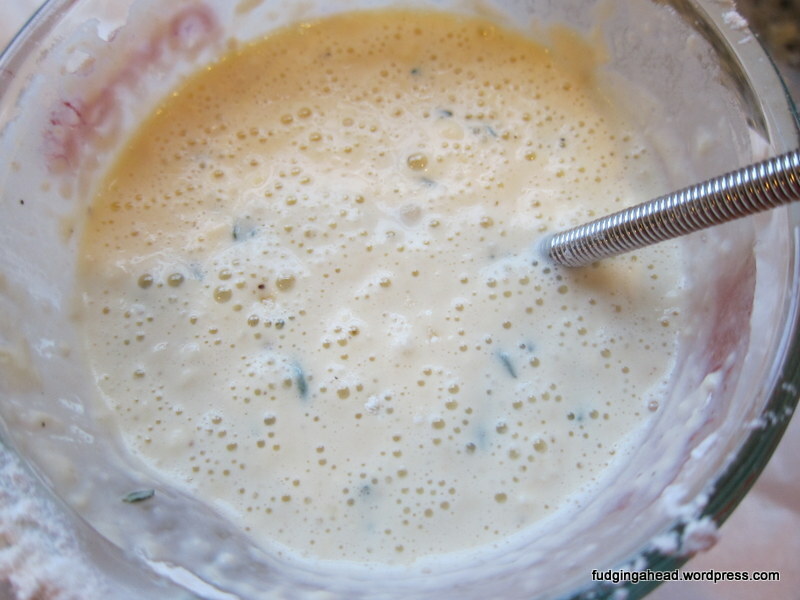 Stir in the herbs and then let the batter rest at room temperature for 10 minutes. 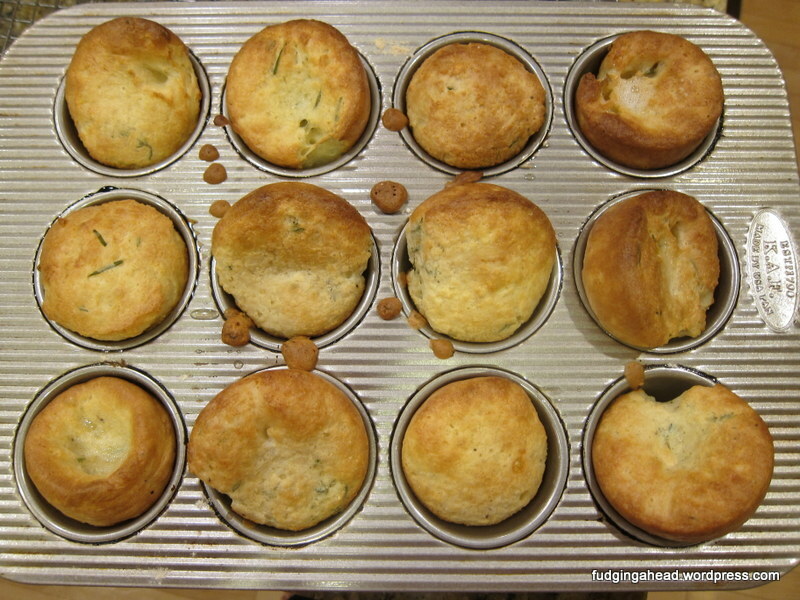 Remove the hot muffin pan from the oven and brush each cup with oil. Pour about 1/3 cup batter per cup, or until halfway up the sides. Bake until they rise and puff up and turn a deep golden brown, about 35 minutes. Do not open the oven during baking. Let them cool for 5 minutes in the pan before serving. Mine came out easily, but you can use a small offset spatula or butter knife to help if needed. Put a 12-cup muffin pan in the oven (a light-colored metal pan is best) and preheat the oven to 400 degrees F. In a medium bowl, whisk together the milk, eggs, salt, and pepper. Whisk in the melted butter, then whisk in the flour until smooth. Stir in the herbs and then let the batter rest at room temperature for 10 minutes. 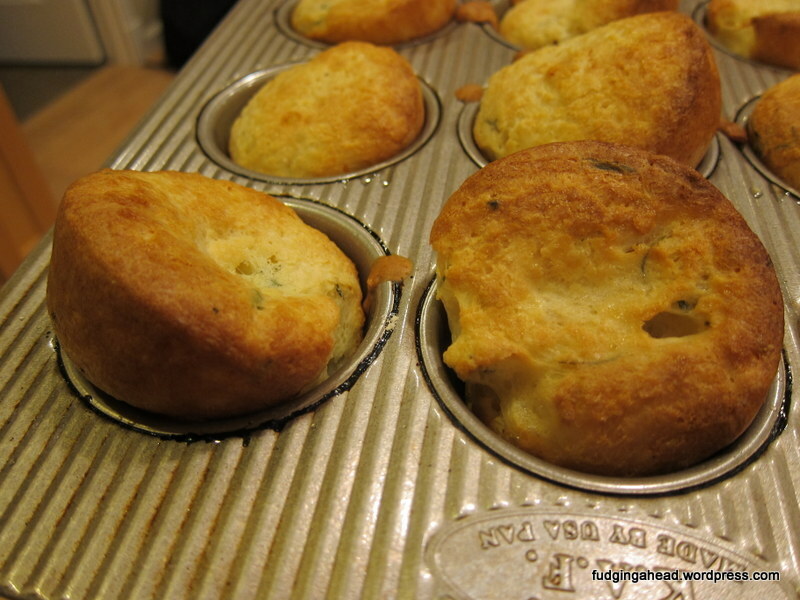 Remove the hot muffin pan from the oven and brush each cup with oil. Pour about 1/3 cup batter per cup, or until halfway up the sides. Bake until they rise and puff up and turn a deep golden brown, about 35 minutes. Do not open the oven during baking.